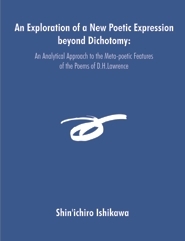 This study attempts to re-evaluate Lawrence's poetry, which has often been read as a set of biographical documents or supplementary notes to his novels, as fully independent literary work in the light of post-modern critical theory. The author carefully examines how Lawrence needed to misread his precursors, the nineteenth-century Romantics, to establish himself as one of the modern poets. What separates his poetry from his precursors' is his self-consciousness as a modern poet. His search for radical freedom in language and his meta-poetic exploration of a new poetic expression make him a true pioneer of the "terra incognita" in English poetry. Shin'ichiro Ishikawa is an associate professor of English Language and Literature at Kobe University, Japan. He received his MA from Kobe University and Ph.D. degree from Okayama University. His current research interests include corpus linguistics, lexicography, and literary text analysis.